When you’re walking in a beautiful part of the British countryside you want to be comfortable. 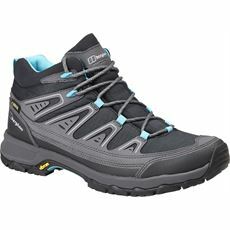 You want to have a pair of walking boots that provide support around your feet while enabling them to breathe, especially in the summer when it can get very warm. Here at GO Outdoors we’ve got a range of stylish women’s summer fabric walking boots that feature a lightweight construction and breathable fabric design to help you to stay cool throughout the warm weather. All of our women’s footwear is designed with both style and practicality in mind, and you can pick up some fantastic deals in our online store now.